k.g.electronic has no other items for sale. Estimated between Fri. 26 Apr. and Thu. 2 May. Estimated delivery dates - opens in a new window or tab include seller's handling time, origin postcode, destination postcode and time of acceptance and will depend on postage service selected and receipt of cleared payment - opens in a new window or tab. Delivery times may vary, especially during peak periods. Brand New Oral B Genius 9000 Electric Toothbrush - Black!! 2 Year Warranty!! For a more controlled and smoother shave, there's the Wet & Dry Shaver by Philips. 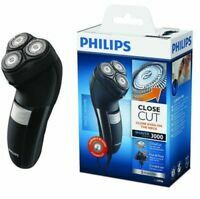 Ever facet of this shaver has been designed to give you a better shave. It contours to your face and includes an intelligent V-track system that cuts in the direction of individual hairs. 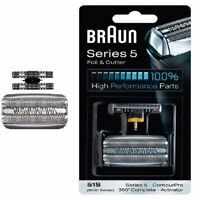 The shaver is further enhanced by a head that flexes in eight directions. Features 50 minutes of cordless runtime. This item can be sent to United States, but the seller has not specified postage options. Contact the seller- opens in a new window or tab and request a postage method to your location. There are 82 items available. Please enter a number less than or equal to 82. Seller posts within 1 day after receiving cleared payment- opens in a new window or tab. * Estimated delivery dates- opens in a new window or tab include seller's handling time, origin postcode, destination postcode and time of acceptance and will depend on postage service selected and receipt of cleared payment- opens in a new window or tab. Delivery times may vary, especially during peak periods. Will usually post within 1 business day of receiving cleared payment - opens in a new window or tab. Immediate payment of AU $229.00 is required. Excellent seller. Quick delivery. Would use again. We'll take a look and remove the review if it doesn't follow our guidelines.